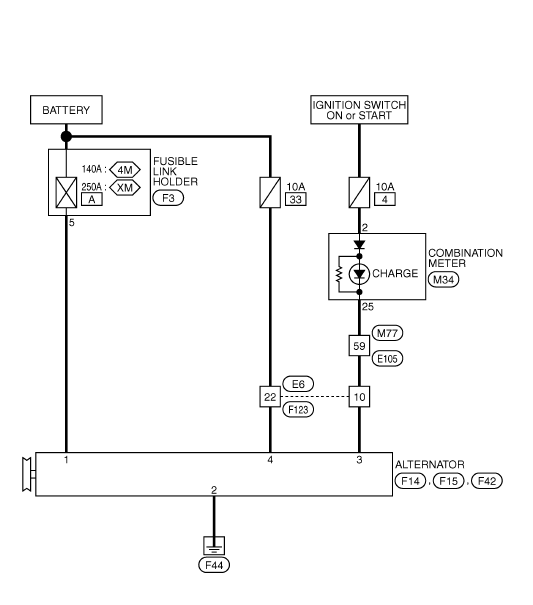 Connection diagram of the generator on the Nissan Qashqai. 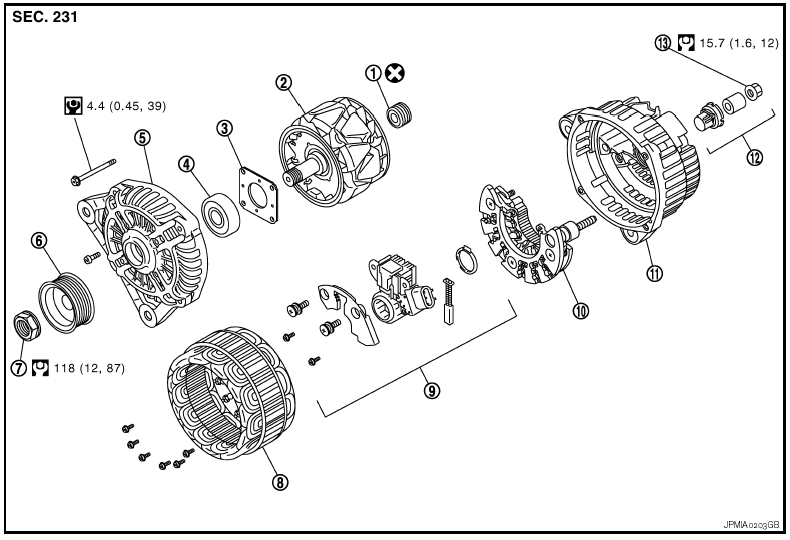 hree types of generators are used on Nissan Qashqai — A2TJ0291ZE and A2TJ0281ZE, differing in engine mount, manufactured by Mitsubishi are used on gasoline engines, these generators have a maximum current of 120 Amps. And BOSCH production 0124525082 is applied on a diesel engine.